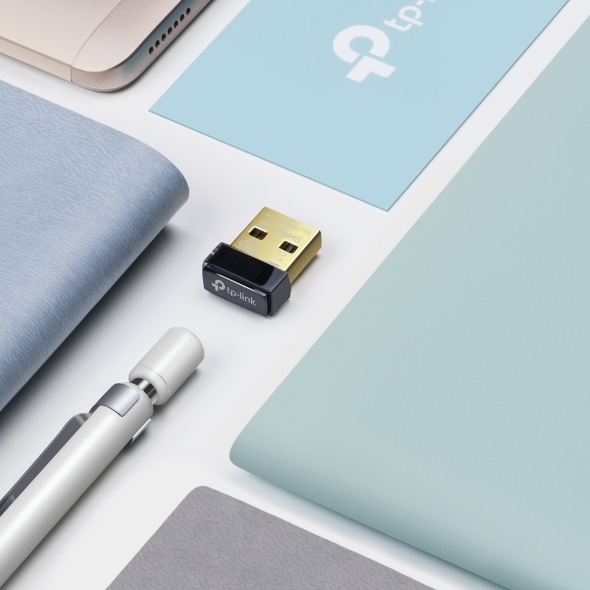 The adapter's size and sleek design allow it to be inserted into any USB port and left there for extended periods of time. 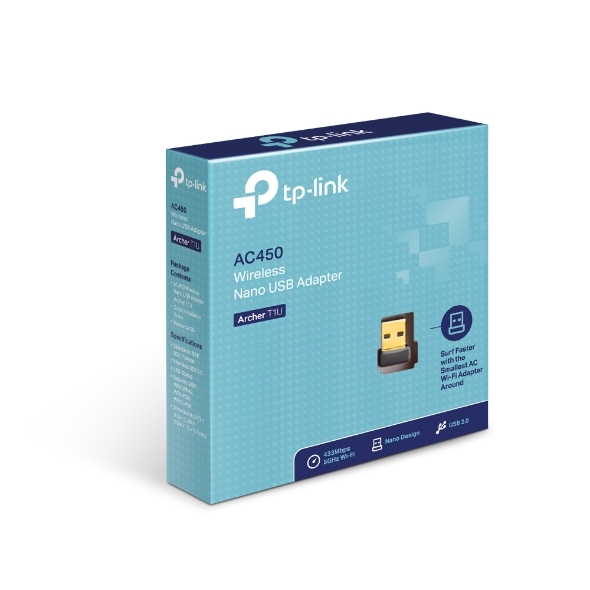 There’s no need to worry about blocking adjacent USB ports because the tiny device sits flush against the USB port, there is almost no chance that the adapter will fall out when you are moving or storing your device. 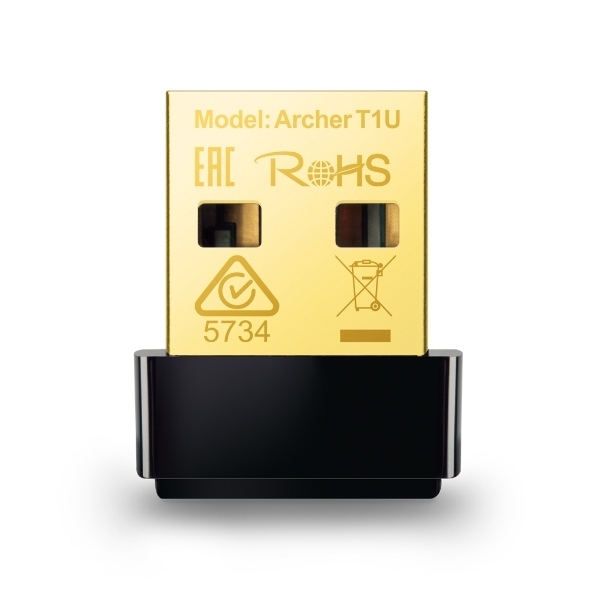 The Archer T1U provides Wi-Fi data transmission rates of up to 433 Mbps on the 5GHz band, making it ideal for streaming video and making audio calls over the Internet. 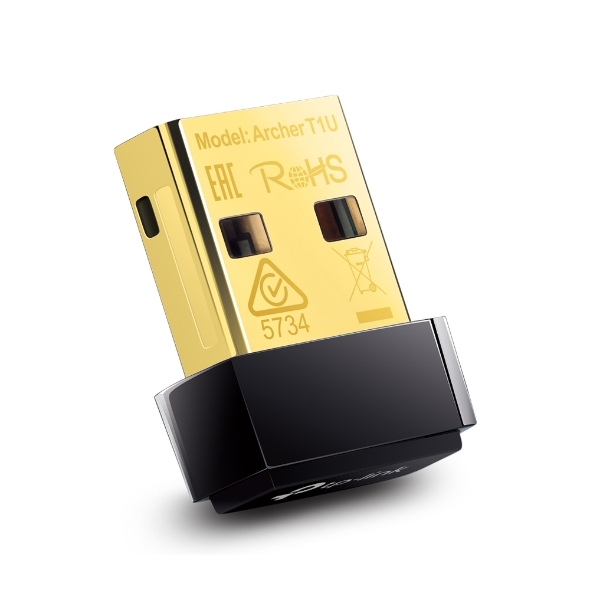 By utilizing the uncluttered 5GHz band, the Archer T1U efficiently avoids wireless signal interference and ensures a stable Wi-Fi connection.